Wolfgang Fuzion Estate Wax 3 oz. Mini includes a poly foam wax applicator. Once you experience Wolfgang Füzion Estate Wax on your vehicle, you'll accept no substitute. Our incredible carnauba-polymer car wax is now available in a 3 ounce mini size. See how Wolfgang Füzion Estate Wax transforms your paint finish first hand. The Wolfgang Füzion Estate Wax 3 oz. Mini includes a poly foam wax applicator. 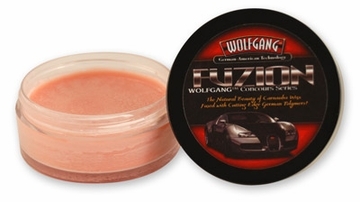 Wolfgang Füzion Estate Wax is a hand-crafted blend of carnauba wax, German Super Polymers, and proprietary ingredients that yield unequaled shine and protection. 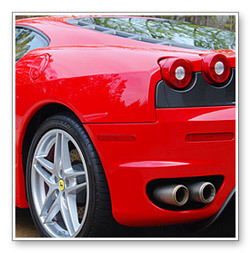 Our unique formula fuses the best attributes of carnauba wax and paint sealants to create the ultimate car wax. Wolfgang Concours Series is a collection of products built around German Super Polymers - the long-lasting, high-bonding, crystalline polymers that give Wolfgang Deep Gloss Paint Sealant its irresistible gloss. Wolfgang has been at the forefront of synthetic auto enhancement for several years, but with our newest creation, we went back to the drawing board. Wolfgang Füzion Estate Wax represents a new era in which the traditional car wax fuses with cutting edge, synthetic ingredients to form the ultimate high gloss, high bonding car wax. With Wolfgang Füzion, nothing is compromised. 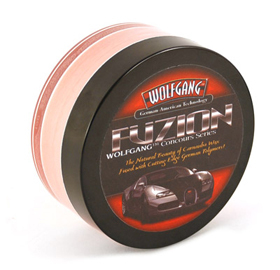 Wolfgang Füzion Estate Wax is a hand-crafted emulsion of the world's finest white carnauba wax, German "Super" Polymers, and proprietary ingredients. Instead of relying solely on manmade ingredients, Wolfgang Füzion Estate Wax draws upon nature's finest wax to take advantage of its breathtaking shine and visual liquidity. Combined with our cutting edge polymers, white carnauba wax takes on a gloss, depth, and dimension unmatched by other synthetic waxes. White carnauba wax is the purest, most transparent natural wax on earth. Its visual clarity and wet-looking shine are absolutely unbeatable. Carnauba wax naturally repels water, airborne pollutants, and ultraviolet radiation. These protective properties are maximized by Wolfgang ground-breaking German Super Polymers. Ultimately, Wolfgang Füzion Estate Wax gives your vehicle synthetic protection and dramatic visual impact all in one incredible car wax. When Wolfgang Füzion Estate Wax is applied to your vehicle, the carnauba fuses with the polymers in a cross-linked matrix of protective molecules. This woven polymer shield is your vehicle's best defense against moisture, airborne pollutants, bird droppings, insects, and UV radiation. 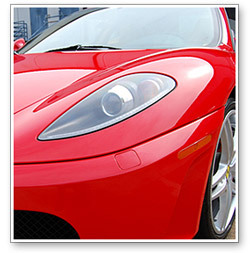 The super polymers reinforce carnauba's natural defense and promote maximum bonding to the paint. Wolfgang Füzion's anti-static properties maintain a slick, glossy, reflective finish. Wolfgang Füzion Estate Wax leaves such a slick, repellent surface; contaminants cannot stick. Füzion repels water, dirt, dust, oil, and resists smudges and fingerprints. Regular washes with Wolfgang Auto Bathe will allow dirt to slide off the paint. Incredible sheeting action cuts your drying time in half and leaves the paint spotless. Wolfgang Füzion Estate Wax looks breathtaking on any color. Reds and blacks shimmer with depth. White, pearls, and silvers drip with shine. Colors appear deeper and more saturated. The vehicle will appear dipped in gloss with light bouncing off every curve. This is what waxmakers have been striving for. Wolfgang brings it to you in every jar of Wolfgang Füzion Estate Wax. Wolfgang Füzion Estate Wax is a true wax with no cleaning properties. For the best results, prep the paint by removing all imperfections and contamination. Use Wolfgang Elastic Poly Clay Bar to deep clean the paint. Then use Wolfgang Total Swirl Remover 3.0 to polish away swirls, oxidation, and other imperfections. 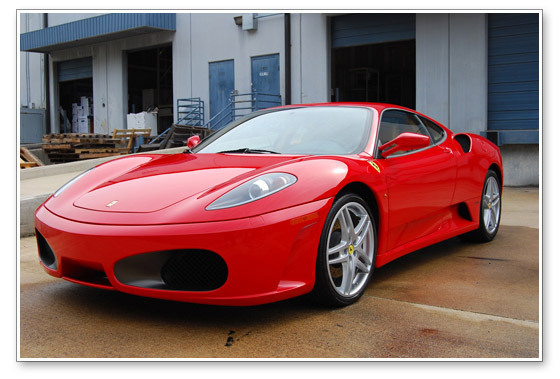 Once your vehicle is clean and smooth, drench it in gloss with a coat of Wolfgang Füzion Estate Wax. Maintain the optimum level of shine and protection with regular applications of Wolfgang Deep Gloss Spritz Sealant. Wolfgang Füzion Estate Wax gives you the feel of a paste wax with the ease of a paint sealant. The buttery wax is a WOWO (wipe on, wipe off) wax. Apply a thin, even coat with a foam applicator. The wax wipes off wet with a clean, soft Cobra Indigo Edgeless Microfiber Polishing Cloth. Because Wolfgang Füzion Estate Wax contains no cleaners, it will not stain or discolor black trim. Each 3 ounce container of Wolfgang Füzion Estate Wax contains 8-10 applications on average. A poly foam wax applicator is included. In the pursuit of the perfect finish, accept no compromise. Wolfgang Füzion Estate Wax fuses the most desirable features of white carnauba wax and synthetic paint sealants to give your vehicle the ultimate depth, shine, and dimension. Wolfgang Füzion Estate Wax provides maximum gloss and protection with a fusion of white carnauba and German polymers. Light bounces off the reflective polymers in Wolfgang Füzion Wax. Wolfgang Füzion creates deeper, more saturated color and gloss. 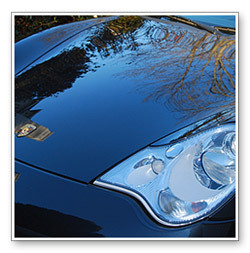 Use Wolfgang Füzion Estate Wax to create crisp, mirror-sharp reflections. 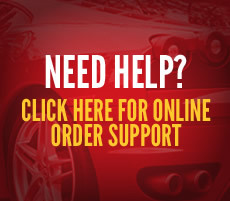 Get a complete detailing kit including Wolfgang Fuzion Estate Wax at a tremendous savings! See the Wolfgang Fuzion Estate Wax Connoisseur's Kit for more information. The paint should be clean and dry. If the paint has any imperfections, use Wolfgang Total Swirl Remover 3.0 followed by Wolfgang Finishing Glaze 3.0. If the paint feels gritty or rough to the touch, use Wolfgang Elastic Poly Clay Bar. Wax amplifies the condition of the paint; therefore it should be as clean and smooth as possible before applying Wolfgang Fuzion Estate Wax. 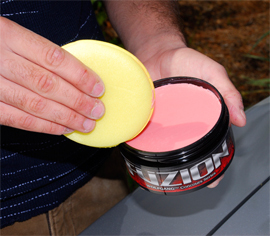 Apply Wolfgang Fuzion Wax with a clean foam applicator. Wipe on Wolfgang Fuzion Estate Wax with a clean foam applicator pad. Use the wax sparingly. Multiple thin coats are more beneficial than one heavy coat. Apply the wax to one panel at a time. Use a Cobra Edgeless Microfiber Polishing Cloth to buff the paint to a brilliant shine. Maintain maximum gloss between details with Wolfgang Deep Gloss Spritz Sealant. Maintain maximum gloss and protection between details with Wolfgang Deep Gloss Spritz Sealant.